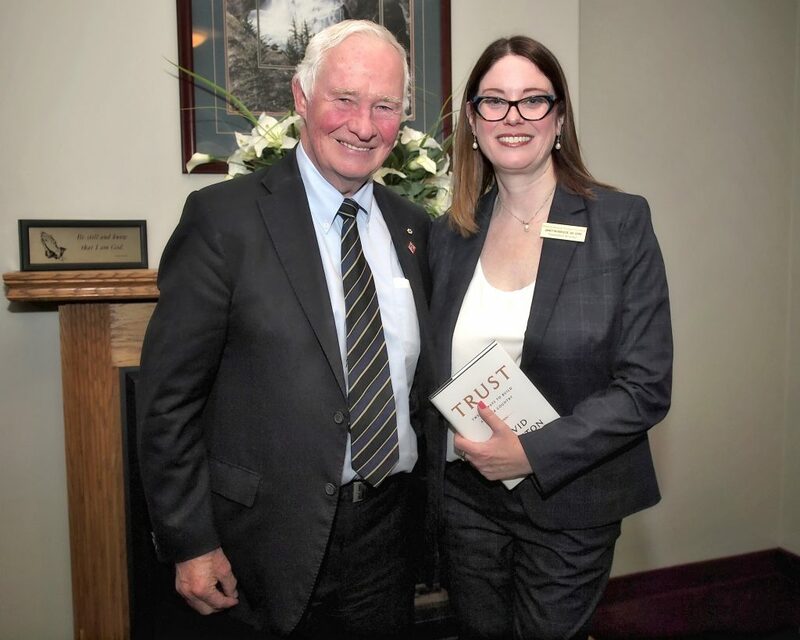 As part of my role running a fundraising department for a small charity, I recently had the distinct pleasure of hosting Canada’s 28th Governor General, David Johnston, for a tour of our palliative care residence and then moderating a discussion with our community as a fundraising event for our organization. A career high to be certain, and a learning experience like no other. The basis of Mr. Johnston’s presentation was focused on his recent book Trust: Twenty Ways to Build a Better Country. In this wonderful book Mr. Johnston presents stories and anecdotes from his life experience, education and upbringing while clearly outlining his theories on what it takes to build trust on a personal level with others and within our organizations and government. The book is written in a very conversational way that resonates with the same warmth, wit and wisdom that Mr. Johnston exudes in person. There are so many excellent examples of ways to foster trust within his book, but one in particular stood out for me. Mr. Johnston grew up in Sault Ste. Marie, ON, and went to Harvard University. In an early chapter entitled “To Thine Own Self Be True”, he tells the story of being admitted to one of the Final Clubs at Harvard, a type of fraternity, in 1960. As he points out, this was before the height of the American Civil Rights movement. Admittance of any new student to this club had to be approved by its selection committee, but was very much reliant on the unwritten approval of the Alumni, from whom the funding for the club came. While Mr. Johnston was a member, there was an opportunity to admit a student from Nigeria, an extremely skilled soccer player and young Black man. This resonated with me deeply. My personal approach has always been similar – perhaps a result of my own upbringing and hearing my parents’ voices explaining that to treat others as we would want to be treated is the best way to go through life. My sister and I were encouraged to look inside and “to thine on self be true” and embrace the Golden Rule that is so prevalent in so many cultures and religions around the world. If only we could all tap in to that inner voice and instinct to recognize our own core values and be strong enough to act upon them – to be an ally by standing up for what we believe in, and not presuming to speak for another individual, but instead stand behind them in support. This is at the core of the reason I got involved with the AFP Fellowship program. 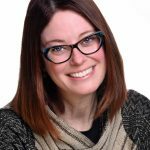 I want to give voice to building trust through the lens of diversity and inclusion. I have learned so much; my own core values of honesty, empathy and equality have been strengthened through this opportunity, yet I recognize I still have much to learn about using my voice and being an ally. I am grateful to the AFP Foundation in Philanthropy Canada for the exceptional opportunity they provide through the Fellowship in Inclusion and Philanthropy, to the Fellows of 2018-19 for setting the example of how to make a difference, and to the Right Honourable David Johnston for leading the way.